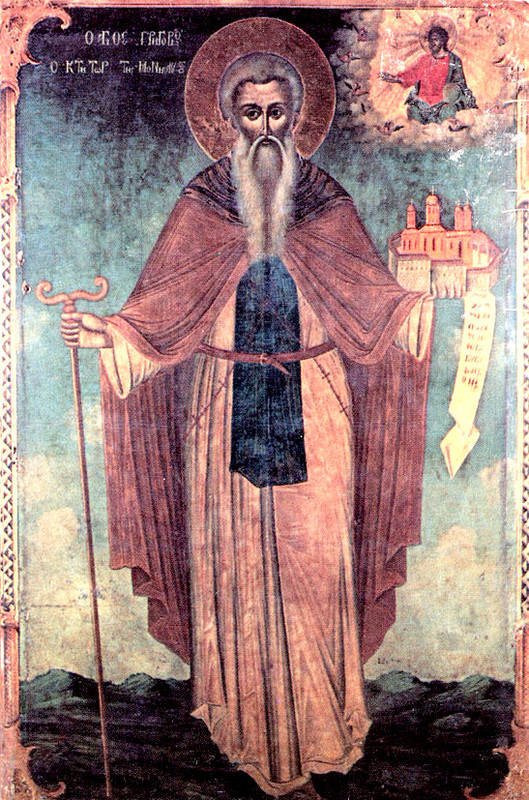 On the seventh of December we commemorate the Venerable Gregory the Hesychast, Founder of the Athonite Sacred Monastery of Saint Nicholas, which came to be known as Gregoriou Monastery. Therefore you dwell in celestial mansions. 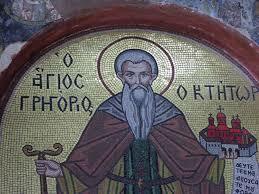 Saint Gregory the Hesychast is also known as Saint Gregory the Silent and Saint Gregory the New. He was born in Serbia in the early fourteenth century and eventually made his way to Constantinople and then in 1350 to Paroria in Bulgaria where Saint Gregory of Sinai founded a monastery and reposed. He was a disciple of Saint Romylos of Ravanica (whose Life he wrote) and the blessed Elder Hilarion, who were both disciples of Saint Gregory of Sinai. Saint Gregory wrote of why he went to Paroria: "I the least of monks came from Constantinople to this place, having heard of their virtuous lives and perfect asceticism, so I bowed my head and submitted." When the Ottomans raided he went to Zagora in Bulgaria with his Elder Hilarion, and from there they went to Great Lavra Monastery at the Holy Mountain, where they met up with Saint Romylos. 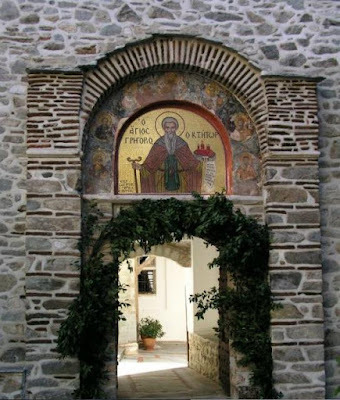 He then chose a place to establish a monastery between Simonopetra and Dionysiou, and he dedicated it to Saint Nicholas, though today it is known by its founders name, Gregoriou. This place was chosen because nearby was the cell of Saint Gregory of Sinai. 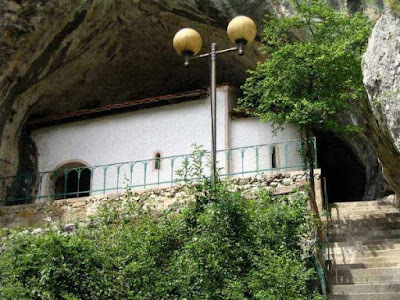 Saint Gregory the New also had a cave about fifteen minutes from the monastery to which he withdrew for silence and prayer, and this cave still exists today. After the death of the Serbian despot Jovan Uglješa in 1371, he went to Serbia and with Prince Lazar founded the Ždrelo Monastery, today known as the Gornjak Monastery, also dedicated to Saint Nicholas, around the year 1380. Saint Gregory reposed here in 1406, and here also are his relics kept. 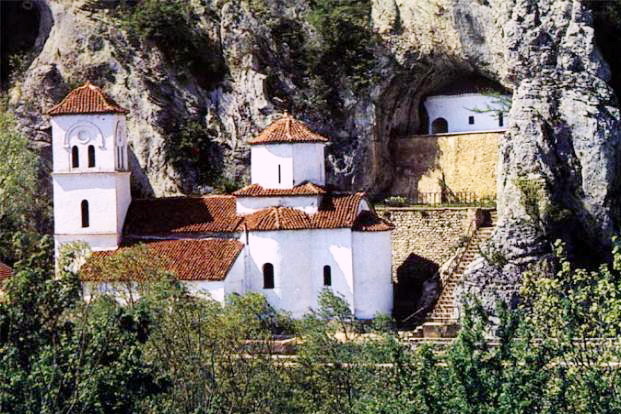 It is said however that Gregory returned to his monastery at the Holy Mountain before he died, and his relics were originally kept at Gregoriou Monastery, but due to a fire in 1761 they were brought to Gornjak Monastery. During the Turkish occupation the relic was sometimes brought to the monasteries Oreškovica, Hopova, Vojlovica, and during the Second World War to the Saborna Church in Požarevac. In 1977 a portion of his relic was given to the fathers of Gregoriou Monastery after the abbot made a request for them. 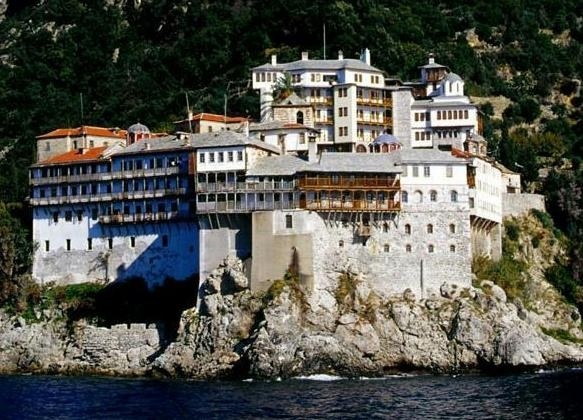 In the records of Mount Athos the Saint’s signature dating from 1405 was discovered. 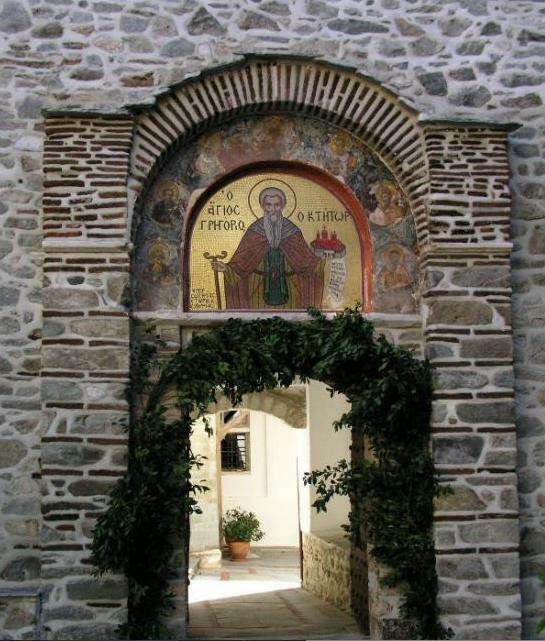 A Divine Office dedicated to him was published by Monk Barlaam of Gregoriou from manuscripts of the monastery. Ever wakeful, you ascended up to life, making wise one, by your venerable labors, to hasten to the heights, of passionlessness Gregory, wherefore you shined, with the rays of the virtues, and illuminated, the chorus of monastics, who faithfully follow you.